I am happy to report that I received a ton of great ideas, and a few duds. But I compiled them all and they are below. I did not edit out any that I received. My thoughts are that my readers are mature enough to judge of the good and the bad. Also, I sometimes get my best ideas from being exposed to bad ones. I think this is a great list, and will become a resource for fraternities and sororities for years to come. I apologize that some are duplicates. It seems like their is a weird bowling fad sweeping colleges that I didn’t know about. Who would have guessed? Also, be sure to check out my article —Fraternity Mixers – 11 Ways to Ensure Success. It will give you more good insight on this topic. 1. The rhyming costume party. Librarians and barbarians, joggers and loggers, etc. Stay away from ____ Bros and ____ Hoes, which is the default way most of these parties rhyme. 8. Chuck E. Cheese after 8. Great time for college age kids to relive their youth. 9. Etiquette dinners are always great. It’s a good lesson learned for both fraternity and sorority members. 10. Any mixer that doubles as a philanthropy event. Sigma Pi and Alpha Omicron Pi feed the hungry night where the two get together and serve food at a homeless shelter. 11. One of my favorite events we did in college was an “Aquafina Party”. Everyone wore white and we drank water. There was water pong, card games with water, etc. It was incredibly fun and always fell within university policies as there was no alcohol allowed. 12. We have done a handcuff bowling mixer. Brothers are handcuffed to their date/member of sorority. Give prizes to the top 3 winning couples. 13. Sometimes what we do is have a brunch mixer. So many fraternities are caught in having events at night and it becomes routine we feel. What we do every once in a while is invite a sorority over at about 10 or 1030, cook up some pancakes and just hang out on the lawn. Its a nice change of pace. 15. Ordering a bunch of pizzas, just hanging out. Usually works as a good introduction into a Greek Week pairing. 17. Our Sigma Chi favorite at Duke is candy shop. Serve delicious drinks and the girls love the sweet theme. The house gets decorated bright and with candy on the walls. 19. Tailgating sporting events- obviously football, however for schools that don’t have major athletic teams there can be tailgating for the sports they do have. One of our big ones is volleyball games. 20. Guest speaker: getting a well known person to come in and talk with students about how they became successful and taking questions on what people could do to get where their at. 21. Non-Ritual chapter meetings: we do this so that potential new members can see what it’s like to be apart of the meetings. They obviously don’t get voting rights or obligations for setting things up for the chapter or any other general hazing practices. 22. We try and keep a 2 guests per active ratio during any of our events so things don’t get out of hand with invites as well as keeping a names list of people who were invited. What ends up happening is we’ll have members invite one guest then with the remaining invites we split them up with the sororities so that we can get unity within our Greek community. 23. Halloween: heaven and hell, have multiple level homes, decorate one half as hell and the other half as heaven. 25. Thrift shop: everyone goes and finds the most ridiculous outfit from thrift shops that they can. 27. ABC (anything but cups or anything but clothes or anyone but carolina): ABCups is you bring items that aren’t usually used as cups, ie. pots and pans, lawn flamingos, what have you. ABClothes things like Christmas paper, trash bags, soda boxes, wooden barrels, traffic cones what have you. 28. Ugly sweater social and Christmas paper: thrift shop for the ugliest sweater you can find or dress up in some wrapping paper. 29. Campus security Social: get some pizza and soda or whatever you want to eat and drink and mix and mingle with campus security and get on their good side rather than trying to dodge them. 30. Whatever the majority of your members major is have a social with those teachers to get on a personal level with them and to get to know them better as well. 32. The best theme for a mixer since I’ve been around has been a Speed Date. Hold sign-ups to facilitate pairings, play a bit of music, and allow three to five minutes for each pair to get to know one another. A simple rotation. While it may be difficult to arrange given that sororities tend to be a bit larger than fraternities in size, one focusing on new-members or a particular class could help resolve that issue. 33. We have a lot of hills here on campus so we have a lot of fun making a huge slip and slide and grilling out. The huge tarps are only a hundred dollars or so and then you just need soap and a water source. As long as you do it off campus or get permission you should be good to go. 35. One of our founding fathers met his future wife at a “speed dating mixer”. Set it up like a typical speed dating session. Have the guys rotate around and talk to every girl for a couple minutes. 36. My Tie Mixer – all the guys bring a tie to the event/venue and the sorority ladies each get to pick a tie. After all the ties are picked the girls match up with the guy whose tie they picked. This means that they are essentially each other’s date/partner for the night. 37. Barn Dance – In Iowa City, we have a place called Wildwood which is a western type of restaurant/bar/venue that has a mechanical bull and a big dance floor. We all get dressed up in a western style boots/jeans/flannels/cowboy hats and go out to the place. It’s a blast. 38. Dinner & Drinks – We have to fulfill requirements for non-alch socials on campus, so often times we will go out to eat at a fancy place and then host a party afterwards. We’ve gone to sushi places before which has worked really well. 39. Date parties/semi-formals – A lot of people like date parties, it allows them to bring their own date. These are usually pretty classy events where we go to nice hotels, dinner cruises on boats, wineries, etc. 40. 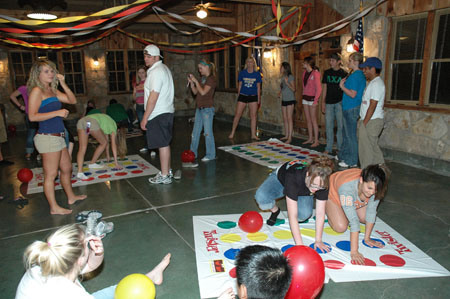 Random Themed parties – have to be careful nowadays with all the fraternities getting in trouble for “racist ragers”, so it’s key to make sure things are politically correct. 50. Some of the best that I’ve heard would include an etiquette class followed by a food fight and dance lessons. 51. Best mixer of my udergrad days wasn’t really a mixer at all but a community service event. We hosted an afternoon “dance” for a center for mentally disabled teens and young adults in conjunction with a sorority. The set up was pretty easy, some basic decorations, snacks, soda, and a some recorded music. We worked closely with the staff of the center. It was a challenging but worthwhile experience. Since it was a community service event, we were able to do something with a sorority that otherwise would have been “our of our league” so to speak–this built a good relationship between our groups and we ended up doing more together later. 52. Our fraternity is looking to do a pub trivia style mixer. We got another fraternity to combine with us, so we could match the size of the sorority. Then we came up with categories and trivia questions. winning team got a $25 gift card for each team member. 53. So we’ve had two mixers in the past that have turned out to be a huge hit. The first was a mardi gras/masquerade ball themed event. Everyone comes dressed up with masks, the event starts off formal with more traditional music before slowly transitioning into the chaos that is mardi gras. Beads, hurricanes, grenades, crazy outfits, everyone really enjoyed it. 54. The second one is a bit odd but was a huge hit. And the theme was homeless and hobos. Every sorority member was greeted with a brown paper bag beverage, lots of people wore cardboard signs. We hung up empty beer cans and crumpled newspaper. Everyone really got into it surprisingly. 55. This reminded me of a joke by David Stollman at the Association of Fraternal Leaders and Values Conference in Indianapolis this past February. In a personal shout out to my fraternity (FarmHouse Fraternity) he joked about some of the themes of our socials. Obviously he was just joking, but I appreciate a person with good humor. On a more serious note, I have found the ladies love to dress up; and let’s be honest, we are happy when the sorority women are happy. In part, it’s what makes us gentlemen: putting others before ourselves, even with something as simple as a mixer. 58. How about an Etiquette seminar followed by a formal dinner. 59. ALUMNI/CHAPTER PICNIC: This is going to be attempted by Lambda Chi/Northwestern this summer. It’s tentatively going to show the wives (and chapter members/dates, by extension) that there IS life after the “four years” (ahem, ahem) one spends in school w/a chapter. 60. A “WET/DRY” EVENT: How about a sailing party where there’s no alcohol involved? If the campus is near a lake that’s large enough for sailboats, this could be a great idea, especially if the booze factor’s not involved (less chance of a risk management event). 61. The way I look @ it, if there’s a chance someone might be offended by a party’s theme (e.g. “Cowboys & Indians” won’t sit well w/Native Americans, “Mexican Night” has gotten a number of fraternities AND sororities into trouble, etc. ), DON’T DO IT. There’s enough negative stereotyping going around…why feed it? 63. All-Day Party. Outdoor event. Co-ed softball or volleyball. Grilled steaks with baked potatoes and tossed salads. Serve cold beer and red wine. Eat picnic style. Finish with an outdoor dance and fireworks. 64. Winter Wonderland. Takes place on hottest day of the year, indoors with air conditioning turned way up. Fake snow and icicles. Pine and cedar trees. Use blue and white lighting for cool impressions. Build a snowman, carve an ice sculpture, or hold the whole event in a skating rink. Wear winter clothing. 65. Two-Yard Dance. Theme party. Dates must wear an outfit made out of two yards of flannel and nothing else. 66. Campus Croquet Tournament. Early fall event. Use a colorful revival tent, cucumber sandwiches and tea, prep or British clothing. Lawn chairs. Color-coded team mallets and balls. 67. Toilet Bowl. Members vs. new initiates flag football game, replete with cheerleaders and coaches. Loser fetes winner to a party. 68. Seeing Red. All decorations and clothing must be red. Dye refreshments and snacks red with food coloring. 69. Beauty and the Beast. Sponsor campus competition with change used as votes. Find most beautiful girl and beastliest (hairiest, ugliest, etc.) guy. Set up a table in a prominent spot on campus with photographs and other displays. Co-sponsor with a sorority. Screen movies and TV shows with beauty and beast theme. Finish event with a theme mixer. 70. Bayou Bounce. Cut-off jeans and camo, barefoot or boots. Serve crawfish, barbecue, or something equally Southern. Music should fit theme. Decor might be Cajun, redneck, or simply country. 71. Lake Regatta. Set up on a local river or lake. Possibilities include cardboard boat, inner tube, raft, kayak, canoe, or rubber ducky races. Girls in swimsuits and cutoffs. Finger foods and refreshments. 72. Pigskin Party. Honor football team with pig roast or barbecue. Fall event. Have coaches and seniors give testimonials. Finish with an outdoor dance or party. 73. Animal House. Fraternity and sorority members partner to take a busload of orphans or underprivileged kids to a local zoo or animal park. Cap off evening with a theme mixer. 74. Campus Kidnap/Jail Bail. Set up a mock jail. Issue warrants and have female deputies round up the “criminals.” Charge for bail or release. Or, kidnap victims and ransom them. While waiting, treat them to a party. Might combine with a jailhouse party where couples dress as convicts and match up through matching prison numbers. 75. Patty in the Pasture. Locate a suitable field, rope it off and mark it into hundreds of squares. Sell tickets for each square. Place a single cow in the field and monitor it so that it does not leave the field. The first square the cow relieves itself upon wins a cash prize. While waiting, serve food from tents and party. 76. Twirp Week/Sadie Hawkins. An old event that features gender role reversals. Girls ask guys out. Works best if several fraternities and sororities create various parties and events that dates can attend. 77. River float trip. We float the Buffalo National River here in Arkansas. Camp out along the river. Makes a wonderful brotherhood event. 78. Heaven or Hell/Devil or Angel. Works best in a house with a basement and an upstairs. Sorority members dress as angels on the upper floor. Serve angel food cake and other heavenly fare. Fraternity members dress as devils and demons and set up in the basement. Serve devil’s food cake and similar fare. 79. Beer pong, or water pong with DJ and the winner gets to have their favorite song played. 80. To attract the females, as Frat’s always do…LOL…Mixers that have girls dress as character. 82. Water event…River, lake, beach get together, etc. 84. Mixers… The bane of an advisor’s existence! Okay, not really. Just certain things about them. (Please no more CEOs and Secretary ho’s! And let’s try to stay away from racial profiling and leave that to the TSA. Or at least let’s skip the photo booth.) Guys should keep in mind that a lot of things they may think are lame, girls might actually like: Holiday themed events (Mardi Gras, Lucky Shamrocks, Halloween, Cinco de Mayo, Talk Like a Pirate Day, etc.) can be fun and easy. 86. Off campus events – bowling, Dave and Buster’s (or similar locations), ice/roller skating, sledding or snowboarding, barbecues at a local park (check for necessary reservations; many parks don’t allow alcohol). Be a tourist in your neighborhood. For example – if you’re near New York City, take a trip to see the Rockefeller Center tree, Macy’s windows, and go skating at the Rock. 87. Pop culture events such as a Zombie Walk, Vampires vs. Werewolves, 8 Bit Revival (come as your favorite 8 bit game character – Mario, Princess Peach, Donkey Kong, etc. ), Lord of the Rings, Harry Potter, X-Men, Wizards and Witches, Don’t Stop Believin’ (channel your inner Gleek), Night at the Movies (roll out the red carpet for a cocktail party/formal type event or just come as your favorite movie character). 88. I’ve tried to encourage our chapters to have themes that incorporate some sort of easy philanthropy collection. (Sounds much nicer to say “Alpha Alpha Alpha and Omega Omega Omega held an ABC mixer and collected XYZ for 123 Organization” rather than “These groups got together and got wasted beyond recognition.”) Here’s some themes we’ve had success with, and a note on the philanthropy attachment. 89. My Paper Heart (by All American Rejects) – collect crayons, construction paper, and similar art supplies for a children’s shelter or children’s hospital ward; attendees wear red, white, or pink. 90. April Showers – collect personal care items for a homeless shelter; spring break theme. Generally popular post-Thanksgiving prior to finals. 91. Bagels at the Beach – collect non-perishables for a food pantry; have “beach” volleyball, bay breezes, and sort of beach attire. Luau type is also fun. 92. It’s in the Cards – collect decks of playing cards, travel games, checkers, extra dice, etc., for a children’s program or shelter; casino night or Las Vegas theme type event. 111. Dress to impress – all the guests where suits and dresses. 114. Crazy Hair – have all guests make do their hair extra crazy! 121. Game Night: focus on social games like Apples to Apples, Pictionary, Catchphrase, etc to get your members and other groups to get to know each other and interact. 123. Cook outs: If your house or suite area has an outside grill, take advantage of it! There’s something about grilling out and having some music that seems to make people happy. 125. Popular TV show: It seems simple, right? But, theme it out. We’ve had groups use AMC’s The Walking Dead as a social night where people dress up as characters, zombies, and decorate accordingly. 126. Iron Chef / Chopped: Every group has someone that can actually cook. Why not have some fun with it? Gives each group a chance to get together around a central theme with a little competition involved. 127. Community Service / Philanthropies: Your chapters do these already. Why not piggy back your mixers into them? Service hours are much more fun when a sorority is involved. It also helps break your chapter out of typical community service routines. Get creative and do something unique with a sorority. 128. Ice cream is quick and easy to setup, doesn’t cost a lot and gives the members something to talk about. Even the reserved members that wouldn’t start a conversation at a party find that they have an opinion on the best toppings for an ice cream sundae. 129. Bowling isn’t something that many people are good at but lets you do something while mostly sitting and chatting. You can usually get cheap food from the bowling alley or delivered for the group (standard pizza / pop) and impress everyone with your repertoire of Big Lebowski quotes. 130. Etiquette Dinner – Educational twist on your standard joint-dinner between a chapter and another organization (usually sorority). Gives the men and women an activity (read icebreaker for conversation), while also serving as an educational program that develops members professionally. 131. Fitness Class – Chapter can hire or request a fitness instructor to lead the chapter and another group in a short fitness class. Instructor can add in education on health and wellness and nutrition. I’ve worked with a few chapters that have found this to be a great activity. The chapters organized the activity to be low intensity so it would be inclusive for all fitness levels and the event is usually lighthearted since many times the exercises (Yoga) can become comical. 132. New Member Lunch and Learn/Meet and Greet – Almost all fraternities and sororities require their members to go through some form of new member education. Why not bring the two new member groups together, hire a great speaker, and give them the opportunity to meet and introduce themselves over a small social activity. One chapter I worked with would bring their new member class and the new member class of a local sorority together for a presentation on Greek values and would then host an ice cream social for the two groups shortly after. 133. Service Activity – Like the above suggestions, service is a great opportunity for a chapter to bond with another group through shared requirements and experiences. Some chapters have even organized weekly opportunities between their organization and another group for participation. For example, one fraternity and one sorority might each guarantee 5 members weekly to volunteer at the local soup kitchen. Not only does it establish a great community partnership for the participating organizations but it’s great for the partners as well. 134. One additional note for the above activities is that these are great for smaller organizations who struggle to mix with other organizations due to mismatches in size. I have known this to be true for small fraternity chapters when they attempt to arrange mixers with sororities on their campus. While a 30 man fraternity chapter mixing with a 140 woman sorority chapter sounds like a great idea for the men, it may not sound as great to the women. The above activities can be smaller in organizational manpower demands so it will allow for the smaller chapter to grow their relationship with other organizations over time and increase interest in other groups mixing with them. 148. Sororities, whatever themes come up. 149. Alumni events with the chapter. 150. Meet the University’s administration, faculty, and staff. 151. Meet the Alumni of the University. 152. One thing my chapter has done in the past is service mixers. We would get together and make cards for children at a local hospital. Some of the girls said that they liked that even more than their normal “let’s try to have some fun” events, because it gave them something to work on together. 153. Our two best mixer ideas this semester were “thrift shop” which is really popular right now and “fire and ice” which was great for the sororities. Feel free to add more in the comments section below. — Pat Daley was a two year chapter president and was his university’s IFC president. He also was recognized as his university, chapter and national fraternity man of the year. 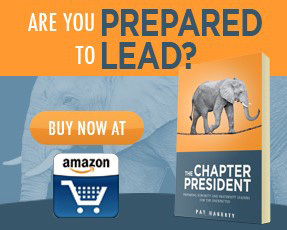 He is the author of thefraternityadvisor.com and The Fraternity Leader – The Complete Guide to Improving Your Chapter. My Sorority has started an annual hunger games function. We are tied to our dates by the wrist and we each have a glow stick taped to our backs. The object is to ‘kill’ the other tributes by taking their lives (the glow sticks). Its always a huge hit and all the guys want to be asked to it. We make the arena set in a woodsy area like a camp or a sponsor with land. Its super intense and also a relaxing time with a fire and smores available when you get out. Prizes for the most kills and last tributes standing. Earlier this semester we had a date party called the “catalina winemixer” which is a reference to the film step brothers. It essentially was a flamboyant formal. It was awesome and everybody loved it. If you make a master list I think you should credit the ideas to the individual chapters who reported them to just so they get credit. Thanks and look forward to hearing from you!